🍃 We have worked for 17 years to refine our formulas. What we put into our products is just as important as what we leave out. Our Conditioner is rich, nutritious, salon quality, and will condition, nourish, and feed your hair with organic and all natural ingredients, including extracts and essential oils, leaving it healthy and beautiful. 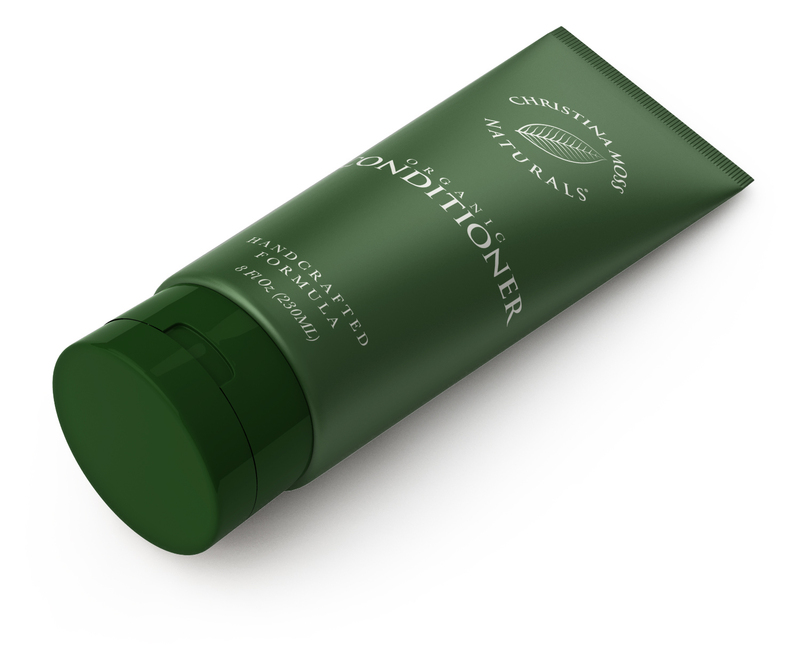 Excellent for those with sensitive skin. Conditions and rinses clean with skin and scalp soothing ingredients, without leaving build-up, stripping, drying, or weighing hair down. Safe for color treated hair. NO harmful chemicals what-so-ever! No SLS, SLES, parabens, propylene glycol or propylene glycol derivatives, sulfates, dyes, fragrance, anesthetizing agents or petrochemicals. Environmentally friendly. Each bottle is made fresh with biodegradable labels and recycled plastic bottles for a cleaner global environment. 🍃 INGREDIENTS: Certified Organic Aloe Barbadensis (Aloe Vera) Leaf Juice, Aspartic Acid*, Brassicamidopropyl Dimethylamine*, Cetearyl Alcohol*, Olea Europaea (Olive) Fruit Oil, Dicaprylyl Ether*, Hydrolyzed Adansonia Digitata (Baobab) Seed Extract, Organic Butyrospermum Parkii (Shea) Butter, Macrocystis Pyrifera (Kelp) Extract, Certified Organic Citrus Extract, Biotin*, Cetrimonium Chloride*, Euterpe Oleracea (Acai) Fruit Oil, Helianthus Annuus (Sunflower) Extract, Hydrastis Canadensis (Golden Seal) Extract, Mentha Piperita (Peppermint) Oil, Nymphaea Coerulea (Blue Lotus) Flower Extract, Oryza Sativa (Rice) Bran Extract, Panthenol*, Pyrus Malus (Apple) Fruit Extract, Rosmarinus Officinalis (Rosemary) Leaf Extract, Salvia Officinalis (Sage) Leaf Extract. *Naturally Derived from vegetables or plants. 🍃 CRUELTY-FREE – NO ANIMAL TESTING. VEGAN FORMULA: Environmentally friendly. Gently & thoroughly conditions and nourishes without stripping or drying your hair out or leaving build-up. Greatly improves condition of the hair and scalp. Safe for color treated hair. 🍃 PERFECT FOR ALL HAIR TYPES. ESPECIALLY GREAT FOR ANYONE WITH SENSITIVE SKIN OR SCALP: NO harmful chemicals (no SLS, SLES, propylene glycol, propylene glycol derivatives, parabens, sulfates, dyes, synthetic fragrance or petrochemicals). Hypoallergenic. Baby safe! Our conditioner does not contain toxic anesthetizing ingredients (tear duct numbing agents). Tip: Use a damp folded up wash cloth above baby’s eyebrows to help keep product out of eyes. 🍃 ORGANIC & NATURAL INGREDIENTS: Satisfaction Guaranteed. Our products are prepared fresh on a regular basis to ensure they are at their optimum best when you receive them. We even go one step further and guarantee purity and freshness for 6 months after your purchase date. 🍃 FRESH, VIBRANT SKIN, AND HEALTHY HAIR SAY A LOT ABOUT A PERSON: The question is, how do you maintain the vibrancy of youth, naturally? No one wants to have invasive surgery, injections, or laser treatments. Human skin is a living organ that absorbs what is applied to it. One theory holds that the chemical ingredients in your hair and skin products are causing you to age too early. The good news is you can halt repair the damage, naturally. That’s where our products come in. 🍃 NO HARMFUL TOXIC CHEMICALS: Personal care items found on store shelves invariably contain harmful chemical preservatives and ingredients. This is partly because their products must have a two year shelf life. This is also true for products in health food stores. Our products don’t. We mean it when we say that our definition of natural includes the phrase: NO HARMFUL CHEMICALS. This conditioner is awesome! It is a little on the heavier side but that works perfectly with the shampoo because the shampoo is a little on the squeaky clean drier side. They work perfectly together! Leaving my hair frizz fee and hydrated! I mean it when I say frizz free. It’s a HUGE difference than when I don’t use this conditioner. I can even let my hair air dry and it doesn’t frizz! I could never do that before! It’s even more relaxed (straight) and my waves don’t get crazy( I have wavy hair). My hair feels great! 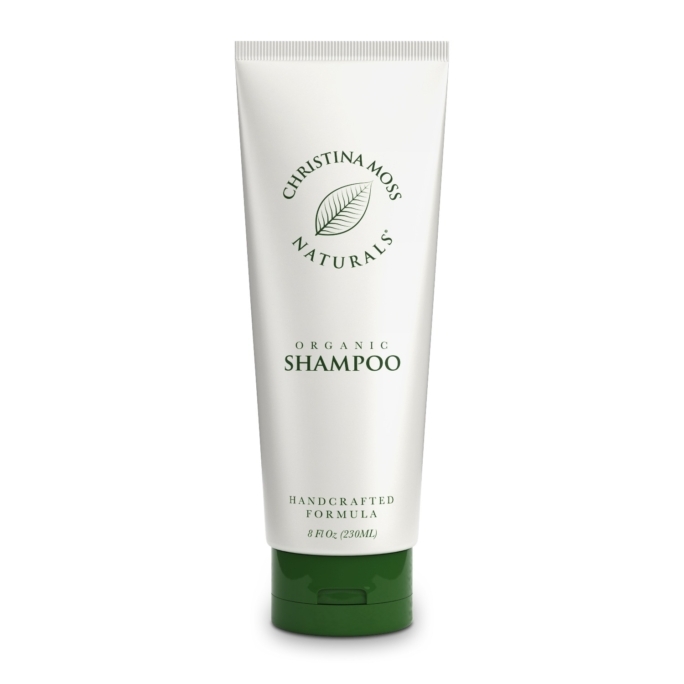 I started using Christina Moss shampoo and conditioner once I started noticing my scalp was reacting to my current products. I have dry and sensitive skin, so naturally my scalp suffers the same. I needed something that would not further aggravate my scalp. This stuff works! My hair feels cleaner and healthier. My scalp and roots just feel different in a good way. I have used organic shampoo before and this is by far the most effective. I was surprised about the lather but nothing that I would question the authenticity of it. I definitely think I found my brand of shampoo and conditioner! Something I will use consistently for a very long time. I bought both the shampoo and conditioner. I have fine hair with dry ends and oily roots, which makes finding any shampoo out conditioner that actually work difficult. Which I have yet to find because that is why I was looking and trying new products. I have been using these products for 6 months now. I used to wash my hair every 2nd day, now i wash 2x a week. I’ve noticed my hair less oily, and my hair does feel thicker and it has grown more than normal. I will continue to use these products as this is the best one I’ve found so far. Also, I do not use any other products like the manufacturer recommended. It’s not a complete 360, but I have seen improvement. I would recommend this product. Although the leave in conditioner I don’t find works very well. A great organic conditioner! I only use organic and chemical free products on my hair since years now. It has grown and shines and is much thicker because of it. My hair loves this conditioner! It shines and bounces like a commercial after use. 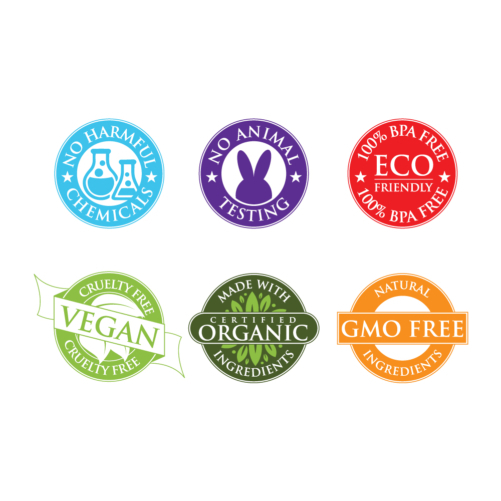 I love the organic ingredients and like I’ve said on their other awesome products, you really feel that everything is organic and good for your body. Very happy with this! Excellent! I am transitioning from salon products to all-organic products and have tried several shampoos & conditioners and they’re all yuck! Except this one! I have lots of long hair and the shampoo & cond leave my hair soft and styleable. The shampoo is somewhat concentrated so a little goes a long way. Totally worth the price! This stuff is great! And it smells amazing!!! I tried it as a conditioner that you wash out and that didn’t work as well as I’d have liked. To get the desired effect I needed to use a lot more than I wanted. So I decided to try the “leave in” method of use. It worked beautifully!!! Even with really long hair you barely need to use any to make your hair smooth and silky! It does wonders for keeping the static out of fine hair and makes it really easy to brush when wet! I will be a customer for life as long as they get it back in stock!!! 😉 I would really hate to have to find another kind when this conditioner suits my needs so perfectly!!! Great scent, very light. 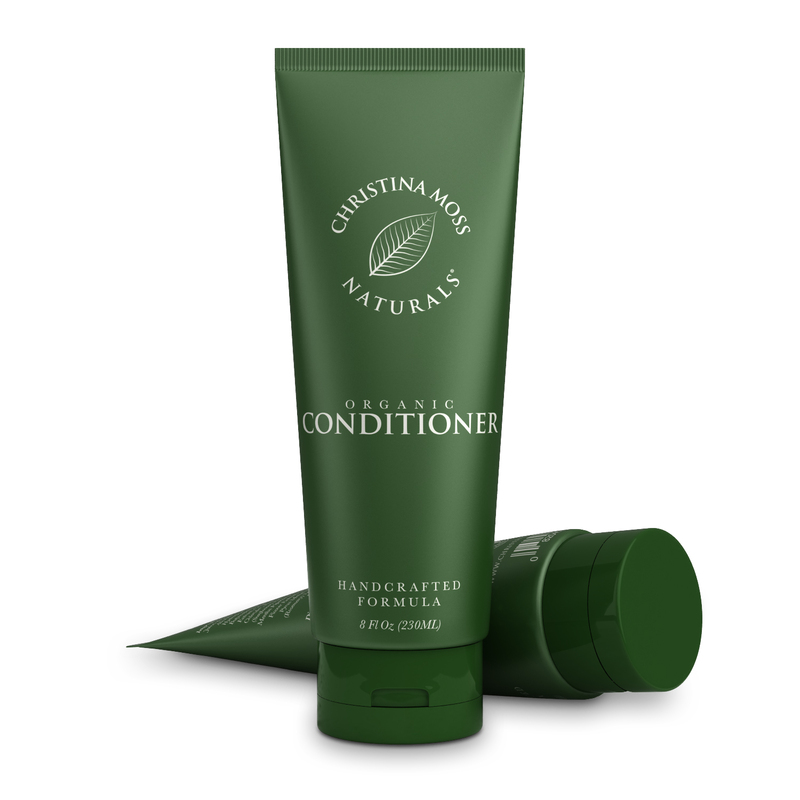 If you have very dry or damaged hair, you may need to do a deeper conditioning every now and then because this conditioner is very light. It doesn’t weigh down your hair and I only need to use a small amount on the tips of my hair. Makes my hair shinier and lighter though I wish it was a little better at keeping my long hair detangled. This is the only product we can find that both has no cocunut derivatives (my daughter is allergic)AND no harmful chemicals! So Hank you, thank you. Please don’t change your formulation. Makes hair fabulously silky and shiny. Absolutely wonderful product!! Love their products. I have never left a review for a product but I’m glad there’s a company out there that sticks to their conviction and using all the natural ingredients in their skin line and hair care. I love the conditioner, it has a very calming scent and really moisturizing and doesn’t leave your hair dry afterwards. 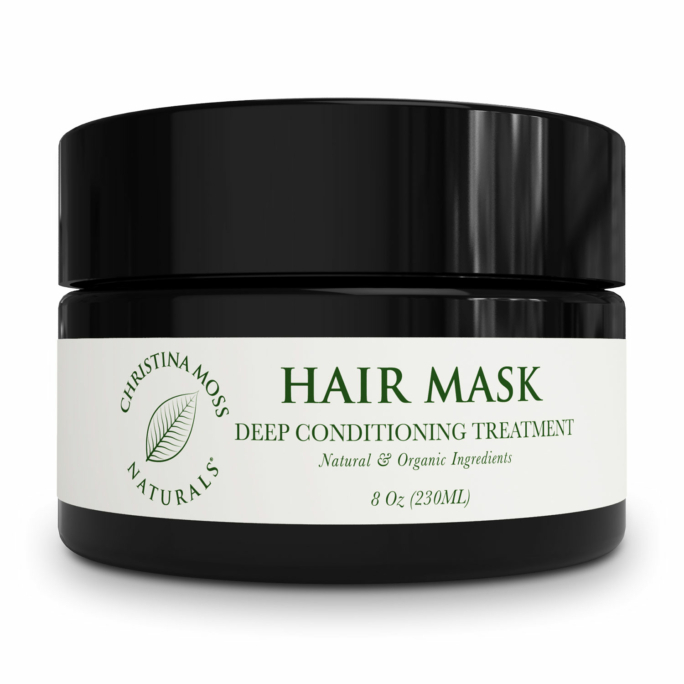 Love the Christina Moss Naturals line of products!! My skin has never been so clear, smooth and nice! My hair stays oil free and looks great! Love these products!!!! 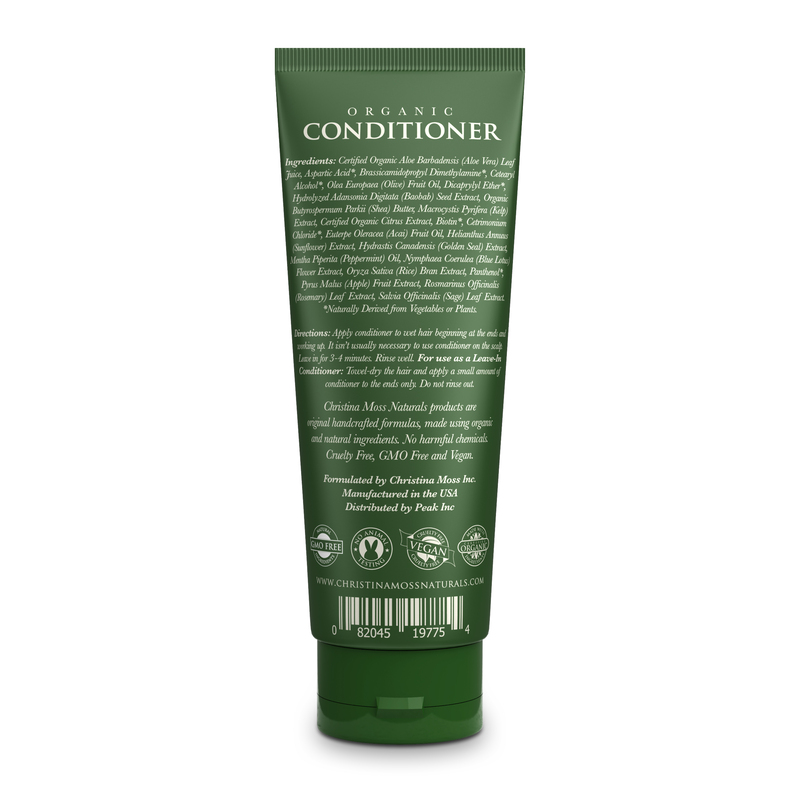 For me, I think, the conditioner is a must with this brand of shampoo, but the combination of the two work really well, especially compared to most natural shampoos I have tried. And the ingredients are wonderful!